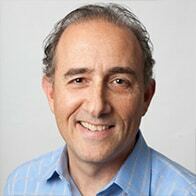 Joel S. Marcus is the Executive Chairman and Founder of Alexandria Real Estate Equities, Inc. (NYSE:ARE), an urban office REIT uniquely focused on collaborative life science and technology campuses in AAA innovation cluster locations, including Greater Boston, San Francisco, New York City, San Diego, and Seattle. Mr. Marcus co-founded Alexandria in 1994 as a garage startup with $19 million in Series A capital. As CEO from March 1997 to April 2018, he led its growth into an S&P 500 company with an $18 billion total market capitalization. 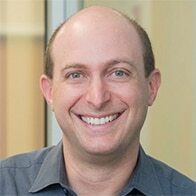 In 1996, he founded Alexandria Venture Investments, the company’s venture capital arm, to provide strategic investment capital to transformative life science and technology companies. In 2011, Mr. Marcus, together with Lynne Zydowsky, PhD, and Deeda Blair, co-founded the Alexandria Summit®, an invitation-only gathering that brings together the world’s foremost visionaries from the pharmaceutical, biotechnology, and technology industries; medical, academic, financial, and philanthropic institutions; advocacy groups; and government to exchange ideas and help shape future decisions about life science research and development and policy to tackle the most important global healthcare challenges and accelerate the discovery of cost-effective, lifesaving therapies. Mr. Marcus serves on the boards of several organizations, including Accelerator Life Science Partners and AgTech Accelerator, for which he was an original architect and co-founder, the 9/11 Memorial & Museum, the Emily Krzyzewski Center, Foundation for the National Institutes of Health, Friends of Cancer Research, the Navy SEAL Foundation, the Partnership for New York City, the Robin Hood Foundation, and The Scripps Research Institute. 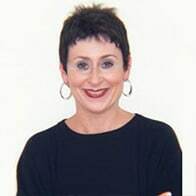 Lynne Zydowsky, PhD, is President and Co-Founder of the Alexandria Summit and Chief Science Officer of Alexandria Real Estate Equities, Inc./Alexandria Venture Investments is an experienced executive in the life science industry who has been involved in the launching and building of several successful companies. She has played key roles in corporate development, operations, and finance. In 2003, she founded Zydowsky Consultants offering services to life science companies. Prior to that, Dr. Zydowsky was Co-Founder and Chief Operating Officer of Renovis, Inc. (now Evotec) and served as Vice President of Pharmaceutical Business Development at Exelixis, Inc., which she helped build from the ground up. In 2011, Dr. Zydowsky, together with Joel Marcus and Deeda Blair, co-founded the Alexandria Summit®, an invitation-only gathering that brings together the world’s foremost visionaries from the pharmaceutical, biotechnology, and technology industries; medical, academic, financial, and philanthropic institutions; advocacy groups; and government to exchange ideas and help shape future decisions about life science research and development and policy to tackle the most important global healthcare challenges and accelerate the discovery of cost-effective, lifesaving therapies. Dr. Zydowsky currently serves on the Board of Trustees for Butler University (since September 2016) and on the Discovery Council for Harvard Medical School (since August 2018), and is a member of the West Coast Board for the international non-profit buildOn. Dr. Zydowsky earned her PhD in Chemistry from The Ohio State University and was a National Institutes of Health postdoctoral fellow in the Department of Biological Chemistry and Molecular Pharmacology at Harvard Medical School. She has a BS in Pharmacy from Butler University. George D. Demetri, MD, is Senior Vice President for Experimental Therapeutics at Dana-Farber Cancer Institute and Associate Director for Clinical Sciences at Dana-Farber/Harvard Cancer Center. He is also Director of the Ludwig Center and Professor of Medicine at Harvard Medical School (HMS). At Dana-Farber and HMS, he leads an innovative multidisciplinary center focused on the specialty cancer care and science of sarcomas. Dr. Demetri has focused his career in precision medicine using translational research to understand and treat distinct subtypes of sarcomas as well as other cancers. He was a pioneer in the development of Gleevec as one of the first targeted cancer therapies to treat a molecularly defined subset of sarcoma: gastrointestinal stromal tumor (GIST). Subsequently, his work led to the FDA and worldwide regulatory approval of several other “smart drugs” for cancer, including Sutent and Stivarga for GIST, and Votrient and Yondelis for other sarcomas. Dr. Demetri served on the Scientific Advisory Board for Plexxikon and was a critical member of the team that developed the mutant BRAF inhibitor Zelboraf as the first mutation-targeted therapy for a molecularly defined subset of melanomas. Outside of the laboratory, Dr. Demetri has been instrumental in raising awareness of issues relating to developing new therapies against cancer, serving as a Board Member of the American Association for Cancer Research (AACR) and Chair of the AACR Science Policy and Government Affairs Committee. Dr. Demetri received his undergraduate degree in biochemistry from Harvard College and medical degree from Stanford University School of Medicine, after which he completed his internal medicine residency and chief residency at the University of Washington Hospitals in Seattle. He completed his medical oncology fellowship at Dana-Farber and HMS. Lee N. Newcomer, MD, spends his time creating new approaches to make cancer care more effective and affordable. He utilizes his expertise in medical oncology, health plan strategy and operations, and health services research, finance, and communications to find disruptive methods for the improved care of cancer patients. The majority of his career was with UnitedHealth Group. From 1991 to 2001,Dr. Newcomer was its Chief Medical Officer with responsibilities for clinical services, Medicare, and Medicaid. He focused his later work on the development of performance measures and incentives for the improvement of clinical care. He returned in 2006 to focus on cancer care and led an initiative that involved a team of clinical, financial, and program management experts. This team was the first to complete an episode payment program for cancer treatment, and it has built the only commercial database combining clinical and claims information for cancer patients. Prior to his work at UnitedHealth Group, Dr. Newcomer practiced medical oncology for nine years in Minneapolis and Tulsa, Oklahoma. He served as the Medical Director for Cigna Healthcare, in Kansas City, and he was a founding executive of Vivius, a consumer-directed venture that allowed consumers to create their own personalized health plans. He is a former Chairman of Park Nicollet Health Services (now HealthPartners), an integrated system of physicians and hospitals based in Minnesota with national recognition for its leadership in quality, safety, and cost effectiveness. Dr. Newcomer holds a BA from Nebraska Wesleyan University, an MD from the University of Nebraska College of Medicine, and a Master of Healthcare Administration from the University of Wisconsin -Madison. His clinical training included an internal medicine residency at the University of Nebraska Medical Center and a medical oncology fellowship at the Yale School of Medicine. David Schenkein, MD, joined Agios Pharmaceuticals in August 2009 as its Chief Executive Officer and a member of its Board of Directors. A hematologist and medical oncologist for more than 20 years, he currently serves as an Adjunct Attending Physician in Hematology at Tufts Medical Center. 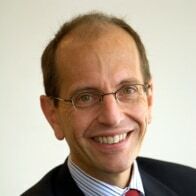 Prior to joining Agios, from March 2006 to July 2009, Dr. Schenkein was the Senior Vice President, Clinical Hematology/Oncology at Genentech, Inc., a pharmaceutical company, where he was responsible for numerous successful oncology drug approvals and for leading the medical and scientific strategies for its BioOncology portfolio. While at Genentech, he served as an Adjunct Clinical Professor of Medical Oncology at Stanford University School of Medicine. 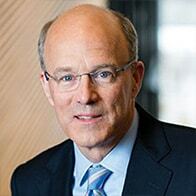 Prior to joining Genentech, he served as the Senior Vice President of Clinical Research at Millennium Pharmaceuticals, Inc. (now a wholly owned subsidiary of Takeda Pharmaceuticals Company Limited), overseeing the clinical development and worldwide approval of Velcade®, a first-in-class cancer therapy now approved to treat multiple myeloma and non-Hodgkin’s lymphoma. 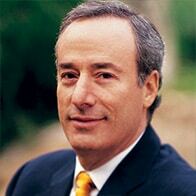 He currently serves on the board of bluebird bio, Inc. and Denali Therapeutics. Dr. Schenkein holds a BA in chemistry from Wesleyan University and an MD from the State University of New York Upstate Medical School.